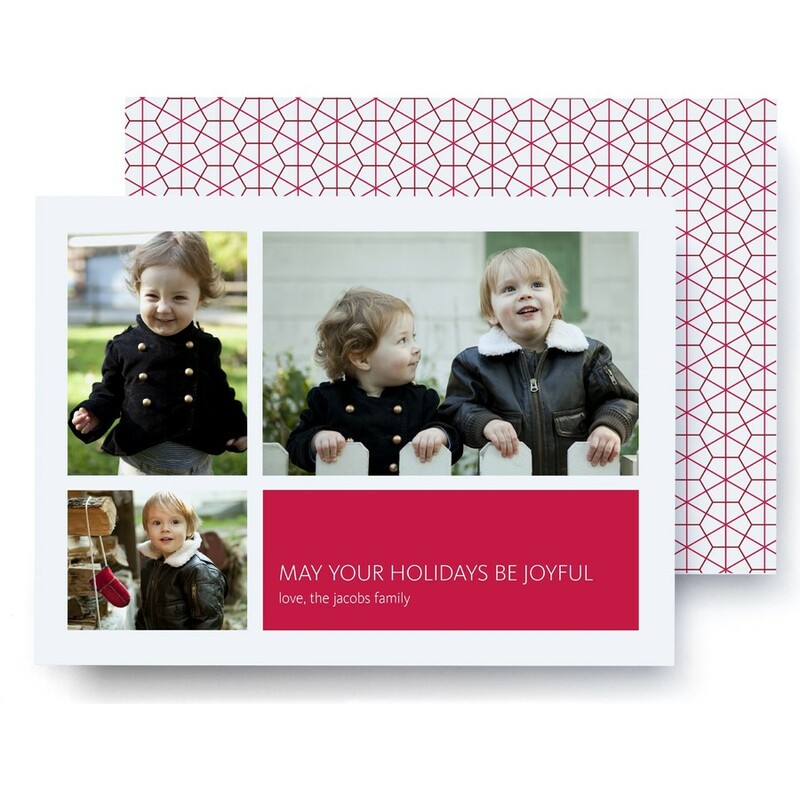 Let your photos shine with this holiday photo card. Personalize with 3 of your favorite photos and a custom greeting. This premium holiday card is printed on ultrathick paper featuring a red pinstripe.